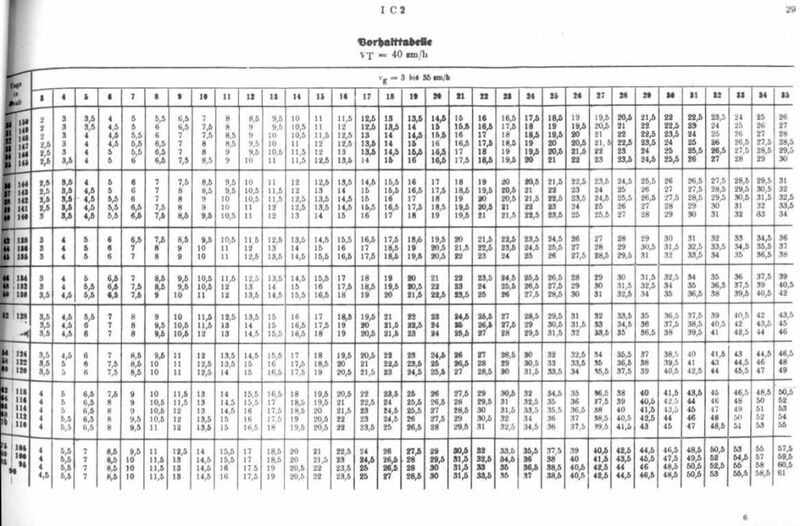 The Kriegsmarine regulations, M. Dv. 416 Torpedo-Schießvorschrift für U-Boote and M. Dv. 906 Handbuch für U-Bootskommandanten, contain parts, where the torpedo attack without fire control system is described. In case of M. Dv. 416 these parts are: chapters I B and III B “Fächerschuß mit festem Schußwinkel und Sehrohr ohne Anlage”, while in case of M. Dv. 906: paragraphs 146 – 153. These procedures were provided for the situation, when the fire control system was out-of-order (in particular, if the target bearing and gyro-angle transmitting subsystems or torpedo calculator itself were damaged). Then, the torpedo attack with fixed gyro angle was conducted. 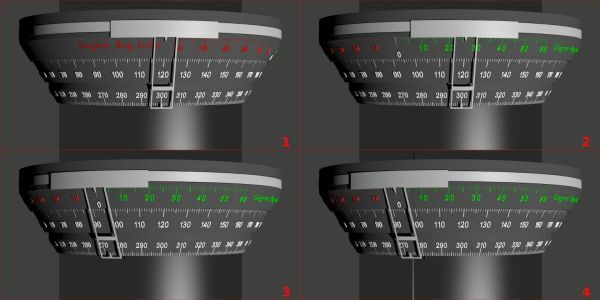 After determining the target course parameters (speed and angle on the bow), the torpedo deflection angle β was calculated by means of the tables, the torpedo calculating disc or the torpedo calculator (if operational). The deflection angle was the angle between the torpedo course and target bearing line in the moment of torpedo launch. There were two types of the torpedo attack: torpedo attack with the fixed gyro-angle (in M. Dv. 906 this angle was equal to 45° and 90°, while in M. Dv. 416 its sample value was equal to 20°) and the direct bow launch (that is the fixed gyro-angle with value equal to 0). To make torpedo aiming easier, the U-Boat periscopes (both attack and night periscope) were fitted with appropriate equipment. The type NLSR C/9 (Nacht-Luft-Sehrohr) night periscope was fitted with two graduated rings (azimuth circles). They were located one above the other, coaxial with the periscope tube and fixed to the upper part of the U-Boat hull, just under periscope stuffing-box. Both azimuth circles had bearing scales in range from 0 to 360° and fixed so, that 0 mark of upper ring and mark 180° of the lower ring were directed toward the U-Boat bow. Both circles were used to read-out the bearing (relative to the bow), the periscope was pointed to. The lower azimuth circle, the one directly adjacent to the periscope tube, made possible reading of the bearing from the „outside”, when not looking through the periscope. Along the periscope tube, exactly over the ocular, the indication line was engraved. When the periscope was directed toward the bow, this line was under 0 mark of the lower azimuth circle. 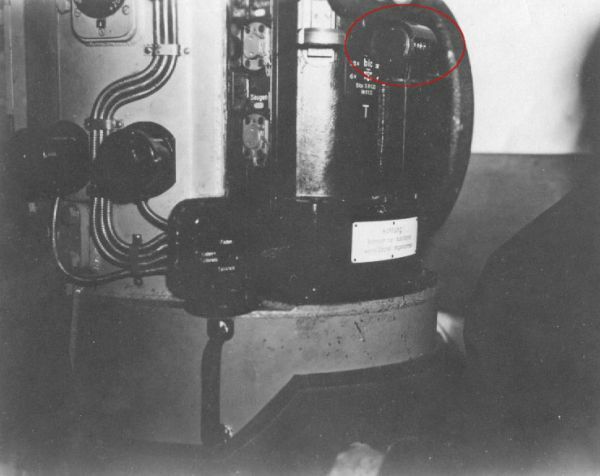 The ocular box of the type NLSR C/9 night periscope was fitted with additional optical system (kind of telescope), which made possible reading of the bearing while looking through the periscope. The bearing scale was visible in the upper part of the view field. 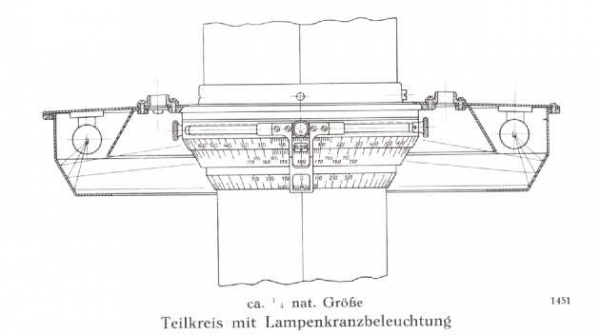 This optical system consisted of prisms and lens, and transmitted the view of the bearing scale through the slit in the periscope collar to the ocular box interior. Because this optical system was located at the back side of the ocular box, to keep the bearing value valid, the upper azimuth circle had to be rotated by 180° in relation to the lower circle. So, when the periscope was directed toward the bow, the optical system transmitted the 0 mark of the upper azimuth circle. 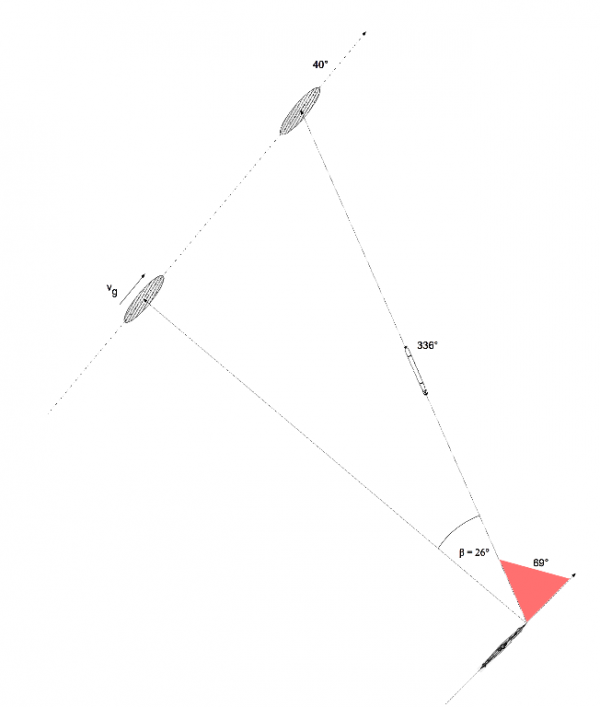 Above two fixed azimuth circles was a deflection angle ring (Vorhaltschieber) located. It had graduated scale in range 60° – 0 – 60° and could be rotated in relation to the azimuth circles. The torpedo attack with fixed gyro-angle was conducted as follows: after reaching the attack position in front of the target, knowing the target course parameters (speed and course, which were determined during over-hauling maneuver), the deflection angle β (Vorhaltwinkel) was calculated by means of the torpedo calculating disc, the torpedo calculator (if operational) or the tables (Vorhalttabelle). The deflection angle was calculated for the angle on the bow γ = 90° in the moment of torpedo launch. There was an addendum to the regulations M. Dv. 416 Torpedo-Schießvorschrift für U-Boote: a collection of tables M. Dv. 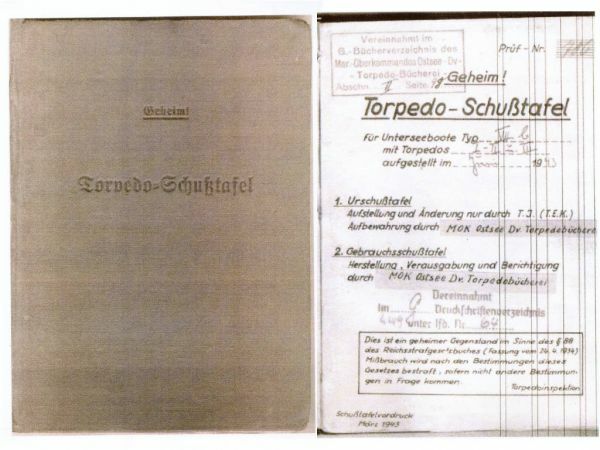 416 Tabellenheft zur Torpedo-Schießvorschrift für U-Boote. This collection contained four tables (for four torpedo speeds: 30, 40, 44 and 50 knots) with pre-calculated values of the deflection angles β for different values of the angle on the bow γ and target speed vg. For example, if the target was cruising on course 40°, its speed was 13 knots, and the torpedo was moving with the speed 30 knots, the deflection angle (assuming the angle on the bow γ = 90° in the moment of launch) was β ≈ 26°. When attacking starboard side, the torpedo course was 336°. Then, depending on the tactical situation, the commander decided what value of the gyro-angle ρ should be. If the course of the U-Boat was the same as the course of torpedo or only a small turn to achieve such course was needed, then the value of the gyro-angle ρ was small or even equal to 0. However, if achieving of such course would require a large turn (which would take too much time, for example, the submerged U-Boat cruising with the speed of 4.5 knots, made 70° turn at full rudder for over 80 seconds), the necessary turn was decreased by using larger value of the gyro-angle ρ. The pre-calculated tables contained firing data for the following values of the gyro-angle ρ: 0, 15°, 30°, 45°, 60°, 75°, 90°. 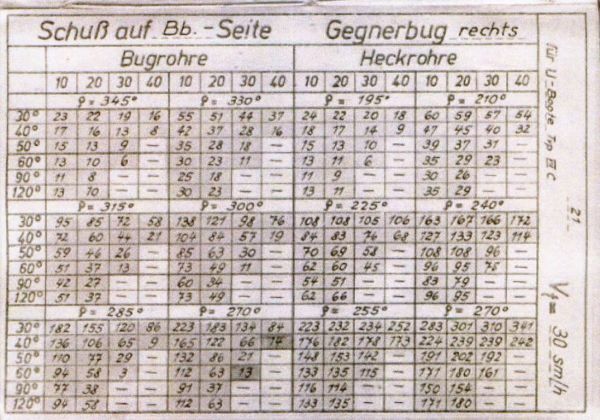 For the example situation, when the torpedo course was 336°, let's assume, that the U-Boat was cruising on course 45°. To achieve the course 336° (in order to conduct direct bow attack), the large turn of 69° would be required. If (for tactical reasons) there was no time to do this (i.e. due to small distance to the target and necessity of the immediate attack), the required turn was decreased to value 9° by choosing the gyro-angle ρ = 60° port (that is torpedo would run on the course equal to 300° in relation to the U-Boat bow). So the final attack course of the U-Boat was equal to 36°. After issuing the turn order to the helmsman, the selected gyro-angle value was passed to the torpedo room to be set on torpedoes. 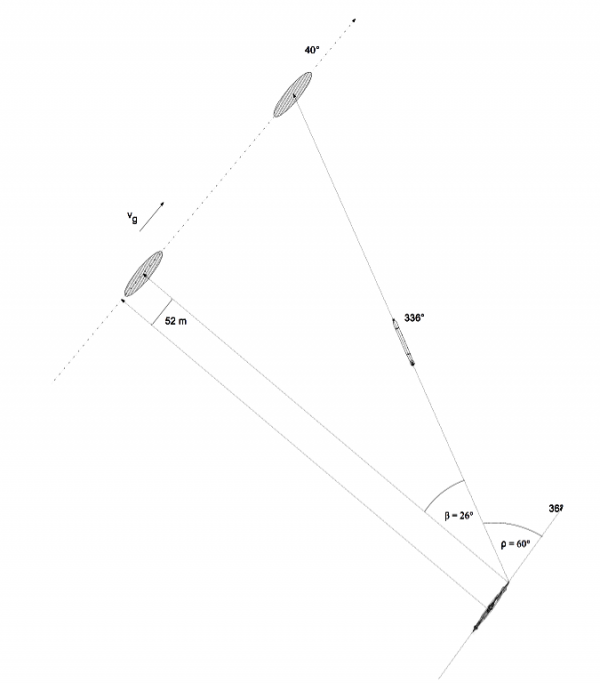 Now, the angle between the periscope bearing and the torpedo course (after its turn by gyro-angle ρ) was equal to β. 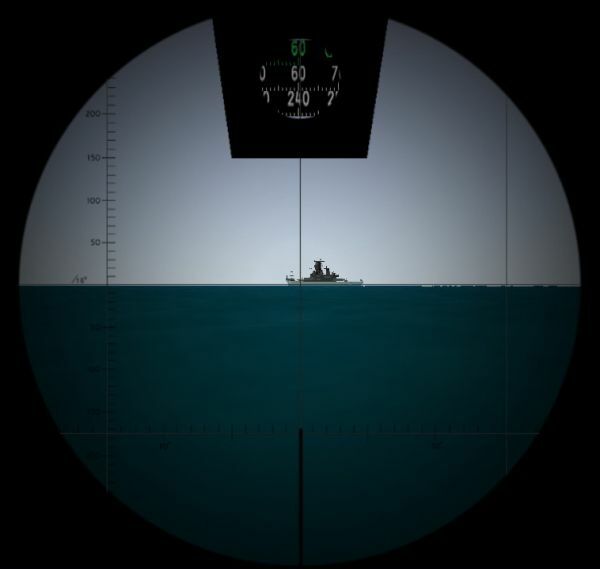 After reaching the attack course and setting the periscope, the commander had to wait, until the target (visible under the angle on the bow γ = 90°) appears in the periscope graticule. In that moment, the torpedo had to be launched. If the deflection angle β was calculated by means of the tables or calculating disc, the result did not include parallax, resulting from the torpedo turn and non-zero distance between the torpedo tubes and the periscope. The linear parallax correction for given values β and ρ could be found in the tables (Schusstafel). The rows of the tables contain the corrections value for different values of the angle on the bow (30°, 40, 50°, 60°, 90°, 120°), while the columns contain values for different target speed (10, 20, 30, 40 knots). The correction should be read from the proper part of the table, corresponding to the chosen torpedo course (that is gyro-angle). 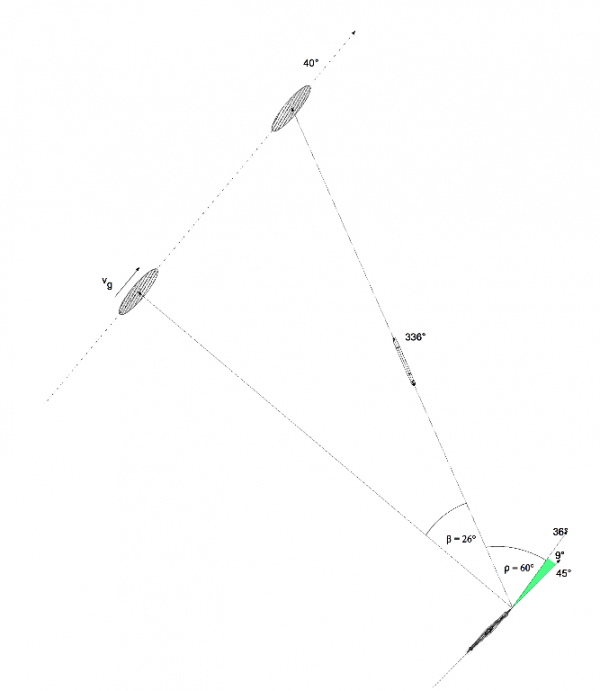 In the example situation (gyro-angle ρ = 60° that is torpedo course 300°, angle on the bow γ = 90°, target speed 13 knots), the correction read from the table had value ~52 meters (the interpolated value between the values 60 and 34 meters for speed 10 and 20 knots respectively). The correction was given in the linear form (contrary to the angular correction used in the torpedo calculator). It required to launch torpedo when the target was located in the distance equal to the linear correction value from the aiming point. 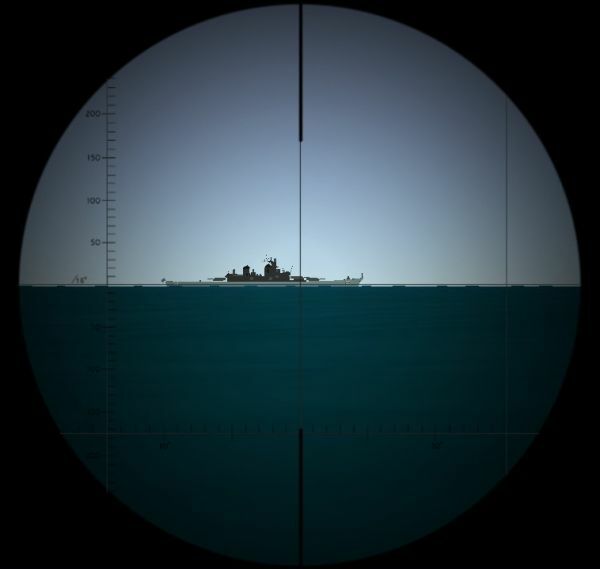 While aiming the torpedo, in order to take a proper lead (which can be negative or positive), the commander had to correctly estimate the target dimensions, however, he did not need to know the accurate distance to the target (as in the case of the angular correction). So, for the example tactical situation, the target had to pass the aiming point by ~52 meters. Assuming, that the target is type Liberty merchant ship (length ~130 meters), in order to hit the midship, the torpedo had to be launched, when target stern (not midship) appeared in the periscope graticule. 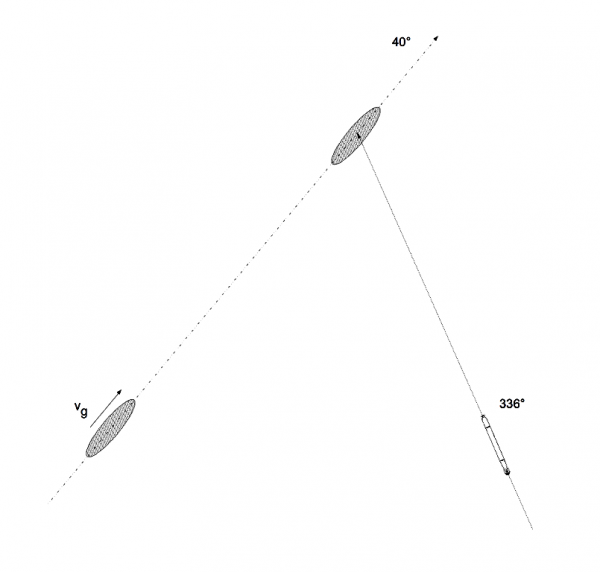 The angular parallax correction calculated by means of the torpedo calculator model for the distance to the target equal to 1200 meters, has value ~3°, that is ~60 m of the linear correction. 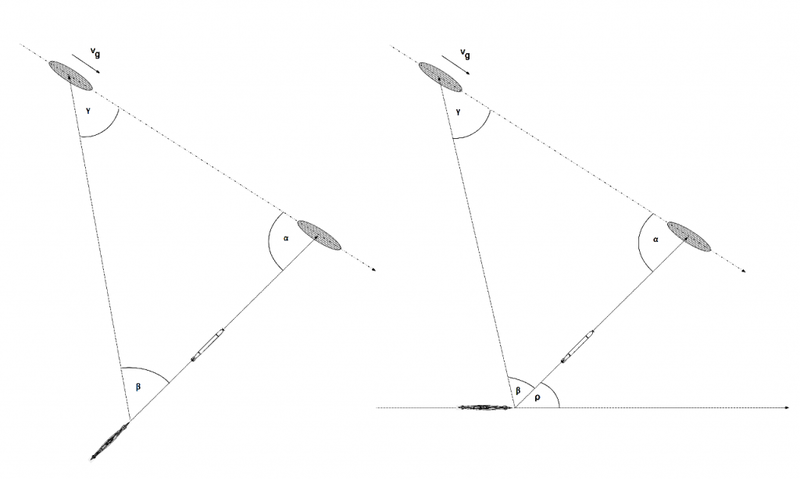 Generally, it was recommended to attack with the gyro-angle as small as possible, because the parallax correction was the smallest. 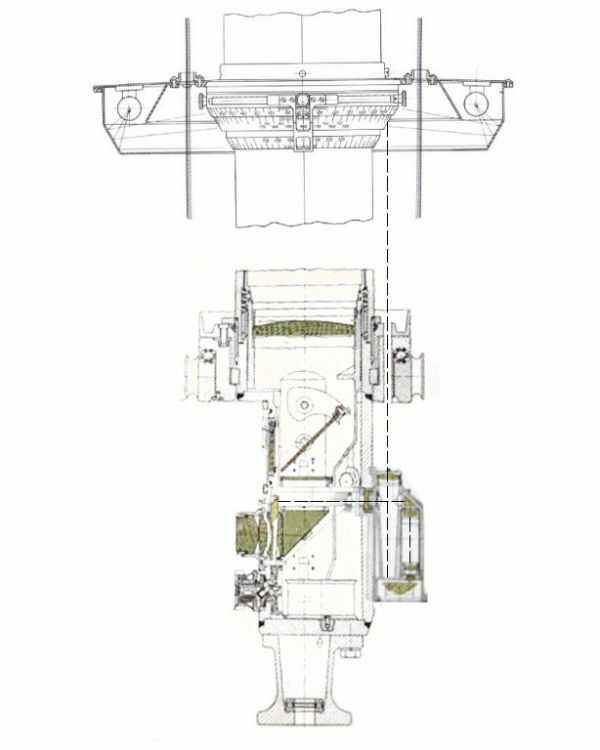 The type StaSR C/2 (Stand-Sehrohr) attack periscope located in the U-Boat conning tower was fitted similarly to the night periscope. 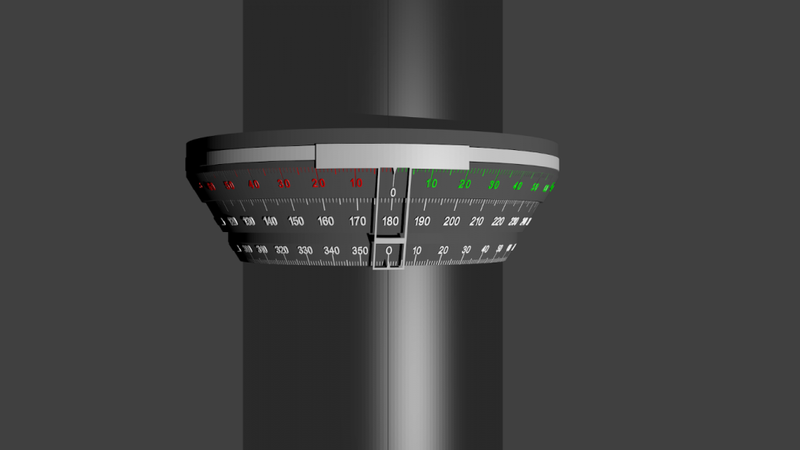 The fixed azimuth circle with graduated scale in range from 0 to 360° was located in its upper part. The mark 180° of the scale was directed toward the bow. On the periscope casing, directly over the ocular, the indicator was fitted, which made possible reading of the current bearing when not looking through the periscope. 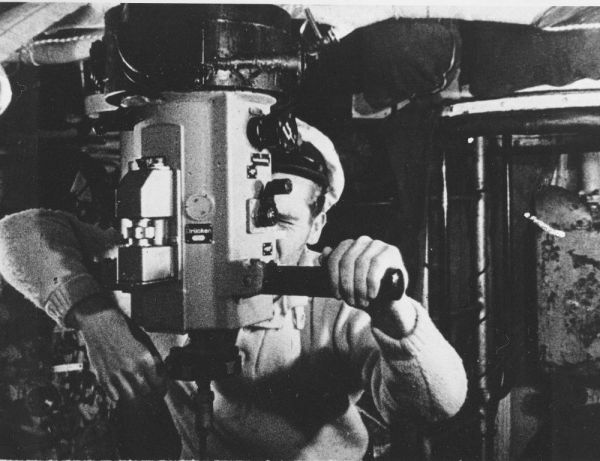 The attack periscope was also fitted with the optical system for showing the bearing scale inside the view field of the periscope. 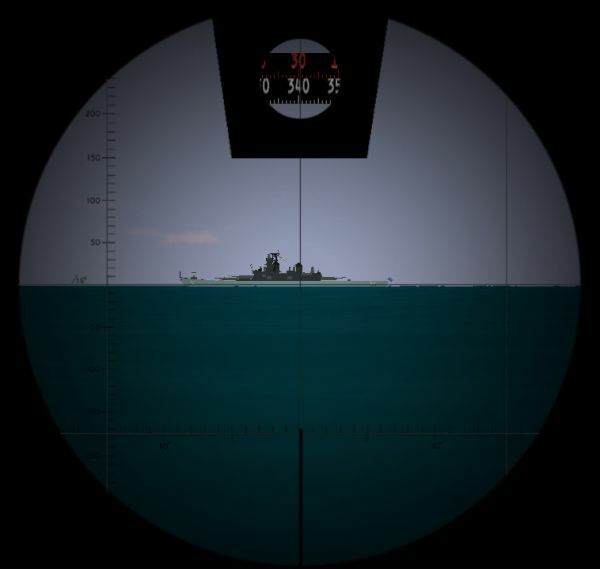 Because this system was located at the same side of the ocular box as the ocular, the second azimuth circle shifted by 180° was not needed (contrary to the case of night periscope). The optical system transmitted the same value as indicated by the external bearing indicator. 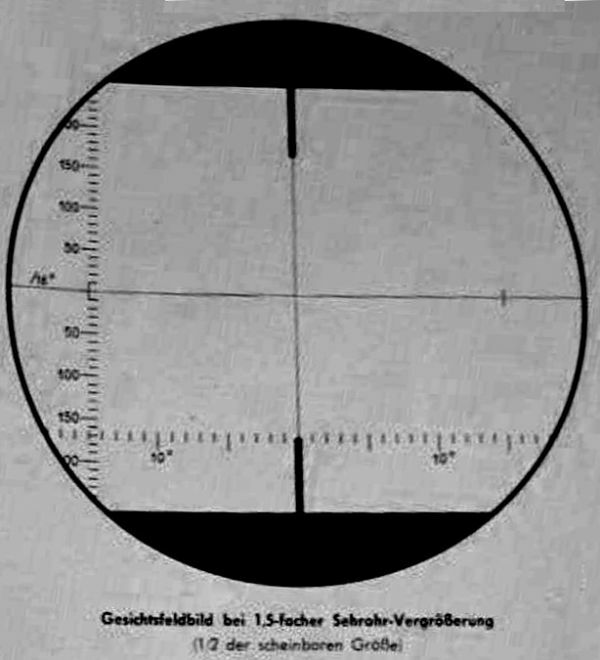 Over the fixed azimuth circle, the trainable deflection angle ring was located, which was used in the same way as in the case of the night periscope. 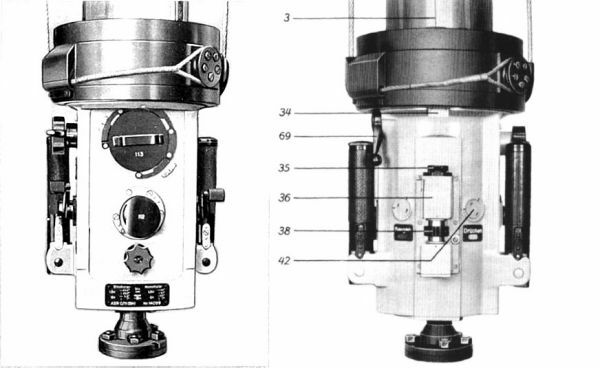 The attack periscope was also fitted with the additional gear for reading the true bearing (that is bearing relative to the north direction) (Germ. Peilrichting). 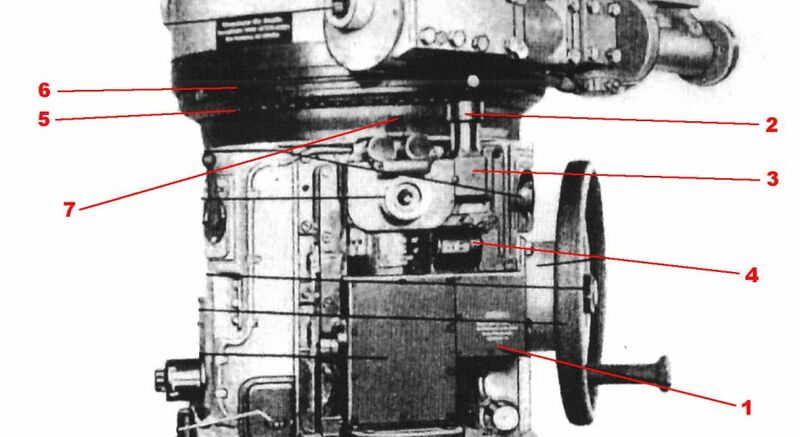 This gear consisted of the gyro-repeater embedded just below the ocular, the gear for coupling the fixed azimuth circle with the differential gear, the differential gear and the four-digit mechanical counter. The relative bearing (measured relative to the bow) was transmitted by means of the coupling gear to the differential gear. The differential gear was also connected with the gyro-repeater, which received the U-Boat course. The differential gear added these two values, calculating in the result the true periscope bearing. 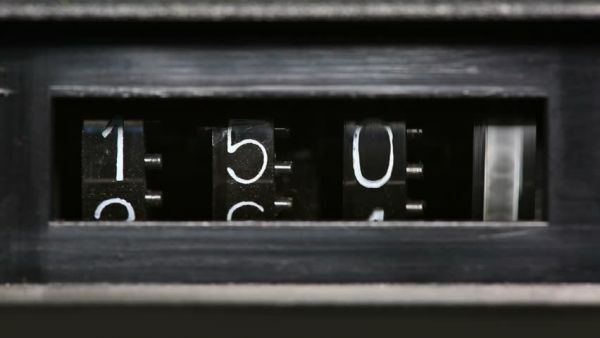 The value of the true bearing was displayed on the four-digit mechanical counter (with the accuracy of 20 minutes of arc). The ability of reading the true bearing makes easier usage of the periscope for the navigation (i.e. taking shore bearing or issuing orders for entering course equal to the periscope true bearing) and attack (i.e. making combat plot) purposes. 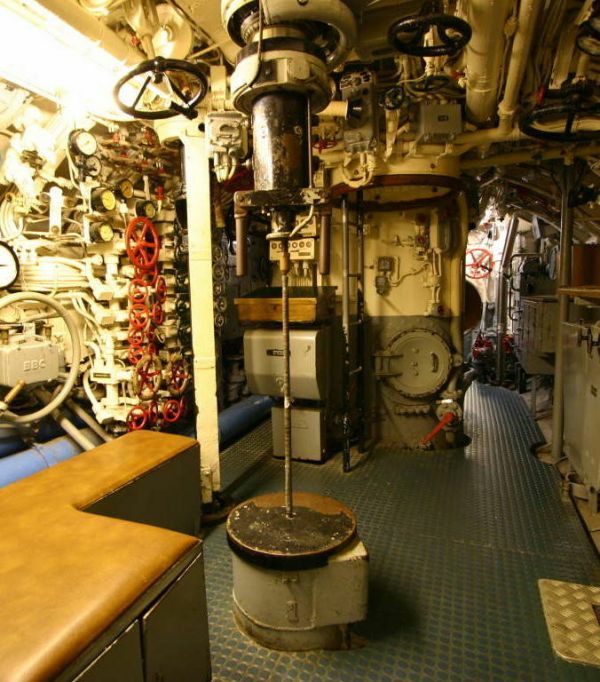 In the control room of the U 995 (located in the Laboe type VIIC U-Boat converted to museum-ship) is installed the type ASR C/13 (Angriff-Sehrohr) periscope. This is post-war periscope designed by Zeiss, based on the war-time type ASR C/6 periscope, which was designed for type XXIII U-Boats. This periscope consisted of the ocular box of type NLSR C/9 night periscope and periscope head of the type StaS C/2 attack periscope. Type ASR C/13 periscope which can be seen in the U 995 control room comes most likely from the U-Hai or U-Hecht (ex U 2365 and U 2367 respectively) and was installed on U 995 in the time when (most likely) she was converted to the museum-ship (during her service in the Royal Norwegian Navy as KMN Kaura, in the control room was installed the original type NLSR C/9 periscope). The ocular box of the type ASR C/13 periscope is simplified version of the type NLSR C/9 periscope ocular box. It is slightly smaller, however the layout of the oculars, knobs and levers is the same. 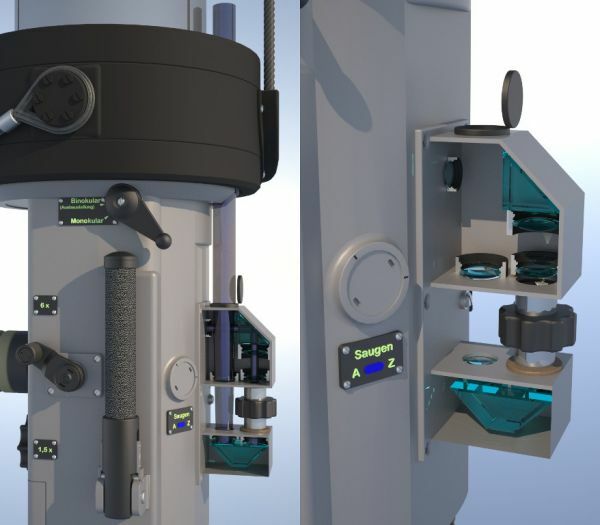 The ocular box is not fitted with the optical system for showing the bearing scale in the view field (the system was probably abandoned to make the manufacture simpler, faster and cheaper). The current periscope bearing is indicated by indication line, engraved on the periscope tube. It points the current bearing at the fixed azimuth circle. 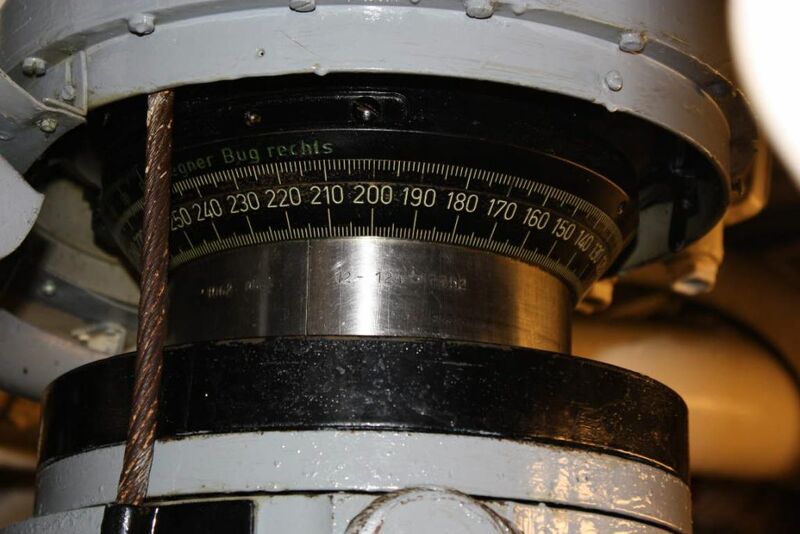 That's why type ASR C/9 periscope is fitted with only one azimuth circle, with 180° mark directed toward to the bow (please note, that azimuth circle in the U 995 control room is not properly set relative to the U-Boat longitudinal line). 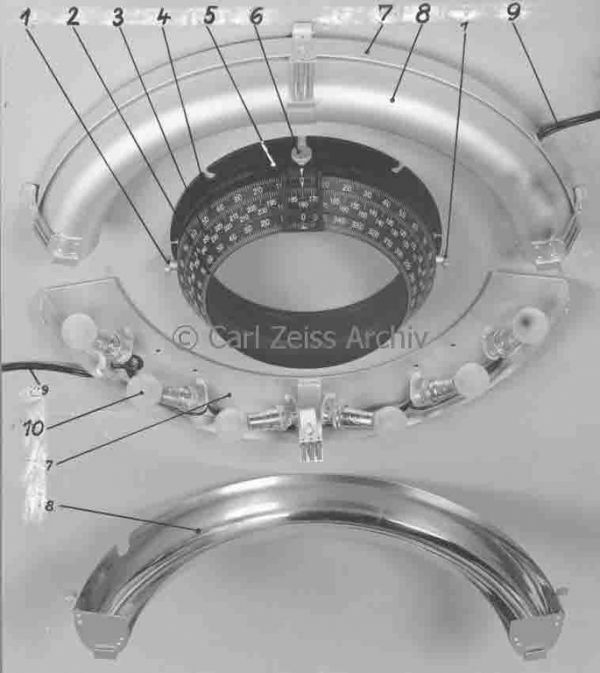 Over the fixed azimuth circle, the deflection angle ring is located, which is used in the same way as in case of previously described periscopes.